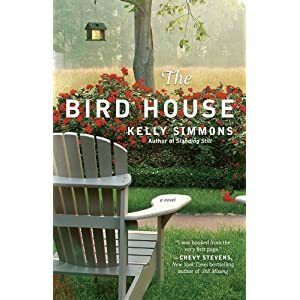 I was sent The Birdhouse by Kelly Simmons to review. It’s a little bit outside of the normal realm of what I read, but I thought it sounded interesting so I agreed to read it and review it. But let me tell you that in the end I found this book to be a story told by a little old lady – a story of multi-generational affairs, of secrets, of guilt, of regret. It was sad and depressing. I hate to say that about a book because I can find something redeeming in almost any book even if it’s just learning from mistakes, but this time I couldn’t. I’m sorry. I do want to note that I thought the book was well written and I would read something by Kelly Simmons again.